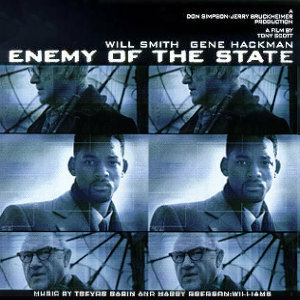 Música compuesta por Trevor Rabin y Harry Gregson-Williams. Película dirigida por Tony Scott. Interpretada por Will Smith, Gene Hackman, Jon Voight, Lisa Bonet, Regina King, Stuart Wilson, Laura Cayouette, Loren Dean, Barry Pepper, Ian Hart, Jake Busey, etc.